Congratulations to artist Kate Beatty. 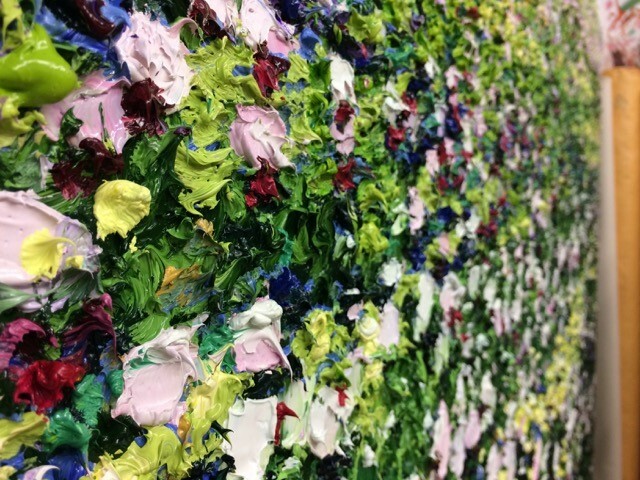 With only a few paintings available, her first Auckland exhibition appears to be heading for a sell-out. Kate’s current series of works explore the hierarchy of image and object through a process that draws on seriality and originality. Repeated botanical studies form the background , as a native bird is depicted in the corner or centre of the artwork. This patterning effect works to devalue the botanical image; it becomes design, wallpaper-esque, whereas the depicted native birds stand by themselves. A ‘colourwash’ is applied over the surface, simultaneously pulling some of the botanical images into the mid and foreground. In doing this, the background almost acquires the status of subject as the native birds fall between the fore and mid-ground. The combined result is uncanny; nothing seems to be quite what it should. I would encourage you to visit the gallery and see why the response has been so overwhelming, if you are not quick enough to secure one of the remaining works, enquire at the gallery we may even be able to organise a commission. Ngaire Stone, Ron Epskamp from Exhibitions Gallery with artist Kate Beatty, at the opening of her new exhibition. Exhibitions Gallery of Fine Art, 19A Osborne Street, Newmarket, Auckland. 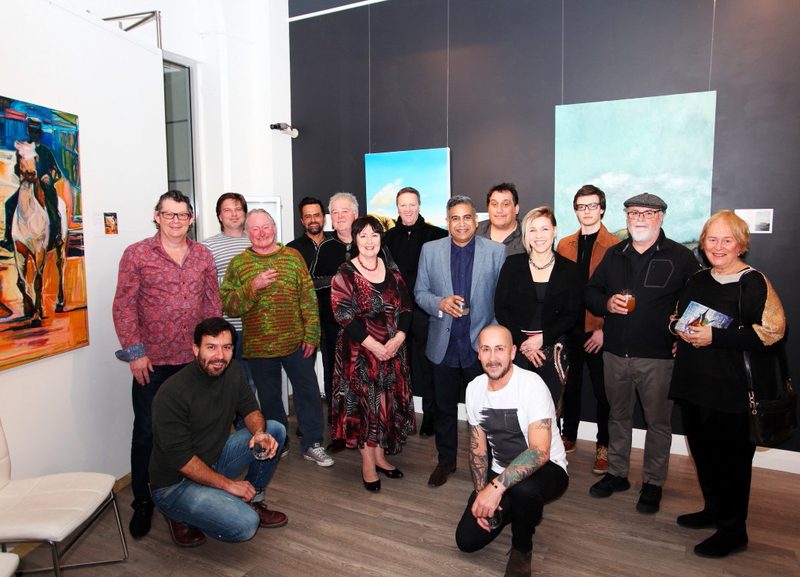 Last Friday, 27th July, we had a wonderful opening reception for our 2018-2019 catalogue launch, followed by a dinner on Saturday for the participating artists and there partners. I think everyone agreed it was a major success. Thank you to all who participated and helped with the catalogue, the opening reception and the dinner. If you wish to grab a free catalogue just stop by the Wellington or Auckland Galleries. Shane Hansen, the host of the successful new local series Design Junkies on TVNZ , will give an artist talk at Exhibitions Gallery, 19A Osborne Street, Newmarket, Auckland on Saturday 26th May at 2.30pm. You can also take the opportunity to view Shane’s work currently on show. Prior to exhibiting in our Wellington Gallery Terry Fergusson, also known as the Bushman’s Son, is previewing a selection of work from his upcoming exhibition ‘be…’. Terry’s current work is an evolution from his first sell out show ‘RAW’ in 2016. The exhibition can be seen at the Rotorua Lakes Council Galleria before opening on the 23rd August at Exhibitions Gallery, 20 Brandon Street, Wellington. 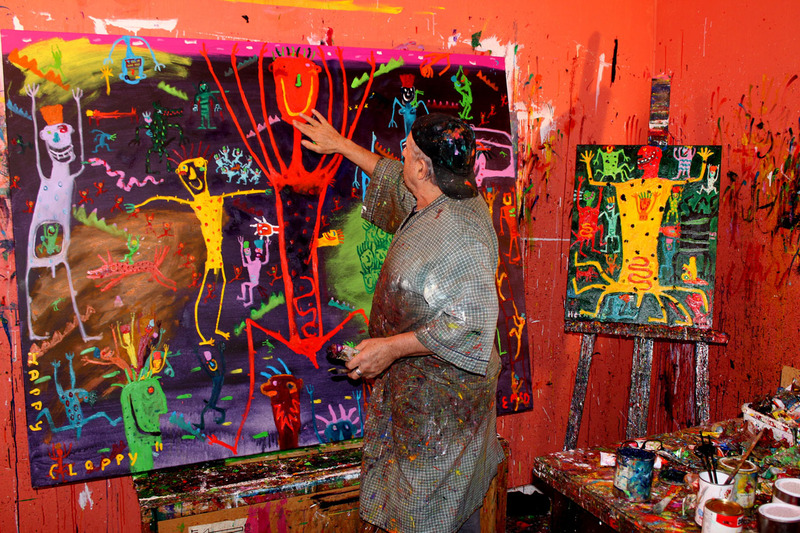 Artist Terry Fergusson, also known as The Bushman’s Son. Congratulations to upcoming exhibitor Shane Hansen! 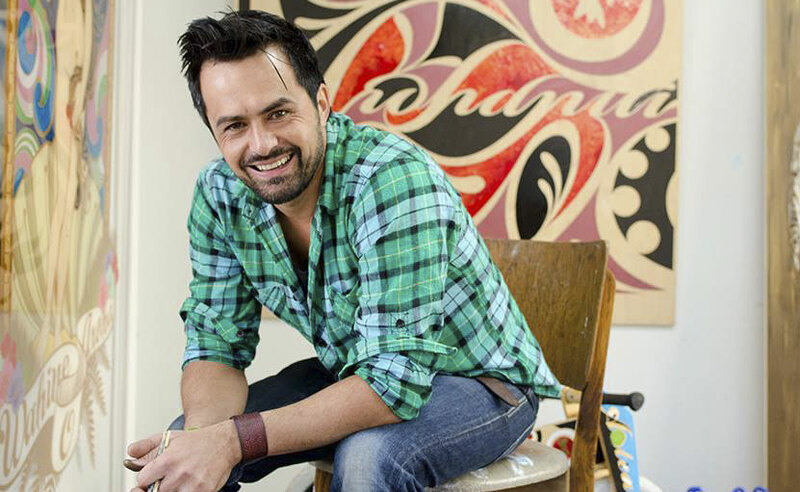 Shane is hosting the new local series ‘Design Junkies’ starting in May on TVNZ1. You can meet Shane at the opening of his upcoming exhibition in our Auckland Gallery. Exhibitions Gallery, 19A Osborne Street, Newmarket, Auckland. Phone (09) 523 5560 or Ngaire 021 415 449.